THE community of Southport has united to celebrate the opening of a unique organisation who are connecting innovation with care in the home. Through a blend of in-home technology and quality care Connected Health Plus have this week begun delivering unique Support services for people who wish to continue living independently in their own home. During the grand opening it was announced that over 100 new homecare, training and support posts are to be created in the Sefton area during 2019. The company's vision is to open an additional 30 homecare businesses generating thousands of career opportunities through their Connected Academy over the next 5 years. Leading the business are Tim Jones and Amy McEvoy who are backed by Connected Health Group who themselves celebrated their 8th year of continuous success in both Northern and Republic of Ireland. 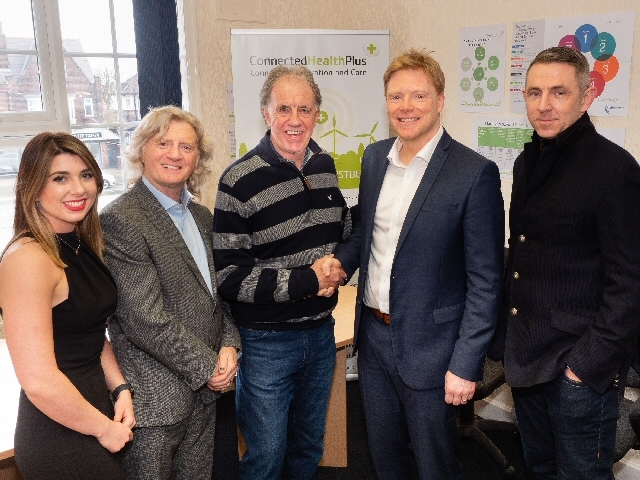 The event was attended by Liverpool FC legend Mark Lawrenson who has seen 1st hand the difference quality care in the home can have for a loved one; along with former Everton footballer Gareth Farrelly who suffered a life threatening aneurysm. Farrelly's recovery took nine months and included daily home visits from local district nurses and community care workers. Tim Jones, Managing Director of Connected Health Plus, said:- "This business is a dream come true for me. We hold protected values that ensure our services are amongst the best. The journey will be exciting for our team and we are very grateful to welcome Mark, Gareth and so many people who are dedicated to improve the physical and mental well being of so many of the vulnerable adults who live in our community today. They, like us, firmly believe everyone has the right to live well in a place they feel the most happy and familiar; at home. Our approach is unique as we connect the latest leading technology with care and support services that meets our Clients desired needs and outcomes; whilst concurrently delivering seamless updates and communication with the people important to the Client so they are given the peace of mind and reassurance that "mum" is safe so they can concentrate on their own career and families." Operations Manager, Amy McEvoy added:- "I'm very passionate about ensuring any Client of mine would receive the highest levels of care; and their families would be communicated with effectively. This belief was heightened further after I felt the impact that poor care gave to my Dad and my family. I was the the Care Manager of a homecare business that became the first provider in the UK to achieve an "Outstanding" rating from the regulator Care Quality Commission which I am incredibly proud of as such an accolade is rare. My vision is to help transform how homecare is delivered through effective technology and partnership working with the likes of Connected Health, Elemental Social Prescribing and Tesco to give our time and effort back to the people in our community." Damien Moore, MP for Southport, who sits on the Governments Science and Technology Committee provided the following message:- "To see such an authentic passion for promoting independence and well being is vital for our society. Organisations such as Connected Health Plus are enabling vulnerable people to live better in the place they are most happy, at home and within the community. What is so impressive, and intriguing, is their ability to connect innovation and care. They operate a digital platform that links the Client with those most important to them, so that they receive transparent and real time reassurance that their loved ones are safe." 1 of the biggest free events in Lancashire is returning and it is set to be bigger and better than ever before. The award winning Lancashire Science Festival, organised and hosted by the University of Central Lancashire (UCLan), is an action packed fun fest showcasing the very best in electrifying shows, fantastic workshops, exciting exhibits and hands on activities. Among the highlights at this year's 3 day extravaganza are the From Plate to Poo show, Science Dome Planetarium and a pop up electricity interactive exhibit. Other exciting demonstrations and shows will reveal the science in your favourite sci-fi shows and the maths that make thrilling theme park rides. Many companies and organisations will also be bringing activities to share the science and technology in the world around us. The event offers a wide variety of activities to inspire youngsters about the real world applications of science, technology, engineering, maths and medicine. 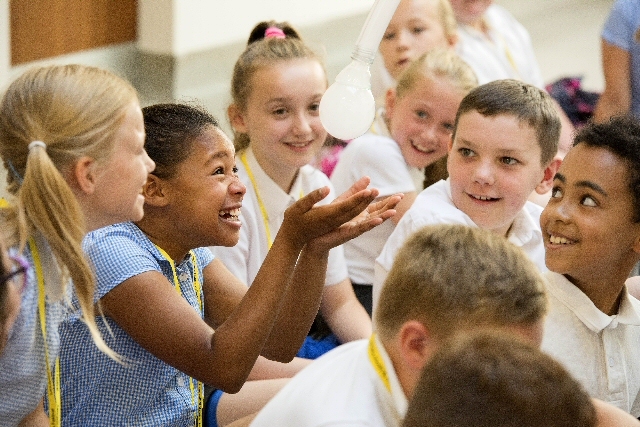 Once again, UCLan's Preston City Centre Campus will be awash with thousands of children from Regional Primary Schools, on Thursday, 27 June and Friday, 28 June while the public day will run from 9.00am until 5.00pm, on Saturday, 29 June 2019. In addition, Lancashire Science Festival road shows will be visiting high Schools across the North West to demonstrate the wonder of science and the possible career paths open to teenagers. Dr Liz Granger, Lancashire Science Festival Director, said:- "This is our eighth year and it's going to be bigger and better than ever. We've got such a great selection of science, technology, engineering and maths events taking place with shows, workshops and drop in activities that appeal to all ages. Last year 20,000 people attended our Preston Campus or took part in a roadshow event. Those figures show the mass appeal of a free, annual educational festival in the North West and highlight why it's fast becoming a not to be missed event for everyone." 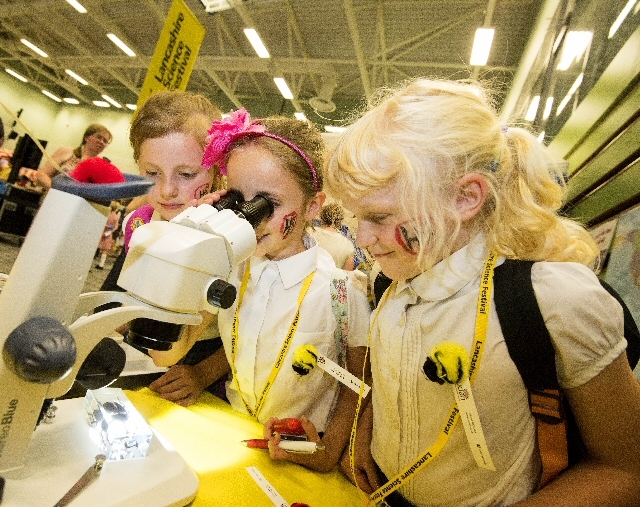 Pre-registration for the Saturday of the Lancashire Science Festival opens on 11 April 2019, at LancashireScienceFestival.Co.UK. There is no need to pre-book the shows or the large majority of activities. There are a small number of workshops which require pre-booking. Workshop bookings will open 12noon, on 2 May 2019. They are ₤1 per person per workshop, with the money going to Derian House.